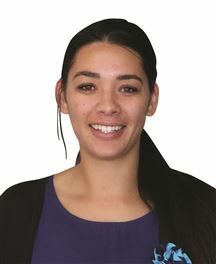 Lisa became qualified in Residential sales in 2007 and has gone on to have a very successful Real Estate career to date. Lisa's professional, friendly and easy going attitude makes her clients experience a very pleasant one. Lisa enjoys meeting people of all walks of life and is sure to help you achieve your Real Estate goals. 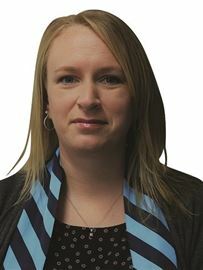 Lisa began her employment within the Harcourts Paeroa office in 2011. Earlier in 2015 Lisa Had been awarded with her pin for 5 million dollars worth of settled sales within Harcourts. In March 2016 Lisa has been awarded with her pin for 10 Million Dollars worth of settled sales within Harcourts. Paeroa has alot to offer with cheaper housing options plus being centrally located and still within an hours drive to Auckland,Hamilton,Tauranga plus still within a short drive to our lovely local beaches. Paeroa has a great caring community spirit which is why we were awarded winners of the New Zealand community of the year in 2012. Paeroa is guaranteed to have many attractions that will appeal to all age groups so come along and meet with Lisa and experience what Paeroa has to offer. Specialising in Rural / Lifestyle / Commercial and Residential Sales. List with me, and I’ll take your property to the world to get the best price possible. Since beginning my successful real estate career in 2004 based in Harcourts Thames, I continued my career with Harcourts Paeroa, and become a business partner in 2009. Prior to beginning my Real Estate career, I spent 23 years within the local farming community, which has given me fantastic local knowledge to understand any rural and lifestyle need, while also being a local within the Paeroa community has given me great contacts, knowledge and respect to assist with any Real Estate need. During my Real Estate career, I have been a top preforming Real Estate Consultant who has received numerous Harcourts Regional Awards. I pride myself on my commitment to my clients, while providing them with my great local knowledge and going that extra mile to ensure my client’s needs and wants are met. CALL ME TODAY TO HELP WITH ALL YOUR REAL ESTATE NEEDS! A Short Stroll To Town! Hop, Skip & Jump To Town! Why Rent ?? - Buy!! The views are worth framing! A Breath of Country Air! Key for The Door at 84! The Views Are Worth Framing!! Sure to be Snapped Up! Gotta Be Quick For This One!! Pretty Me Up or Push Me Over!